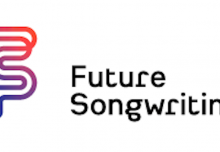 We were delighted to work with MouSyKy recently – the Cyprus Music Teachers Association – to deliver a two-day training session on Musical Futures approaches. MF Associate and Board Member Martin Ainscough delivered the training in Nicosia with primary and secondary teachers to introduce informal learning, non-formal teaching, Find Your Voice and Just Play. Delegates played, created, talked, debated and had lots of fun. A particular highlight was informal learning using delegates own music as a starting point. Watch the videos here. Music education in Cyprus is statutory throughout primary and high school, but poorly resourced and generally taught in a traditional way. 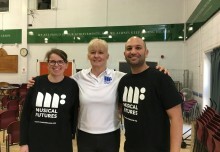 MouSyKy along with academics and members of the schools inspectorate team have long been aware of Musical Futures, and are passionate about bringing relevant, real-world music learning into classrooms. We hope this is the beginning of a productive partnership with Cyprus, and are incredibly grateful for all of the hard work of the MouSyKy team to enable the training to happen.